I have stared at this photograph by Walker Evans since my earliest student days and believe it was the first time I thought a photograph could be Art. Not made up Art, staged Art, planned or asked for Art, but simply an image of found photographs. ”Penny Picture Display” is a picture made in a documentary style which Evans developed with his lyrical wit and street vision. Within this photograph of photographs is the graphic overlay of S T U D I O, which suggests a meeting place where all sitters are created equal in picture size, row and column. Democracy is not only a word for Evans but also a concept that can be illustrated by a lens, film and chemistry. 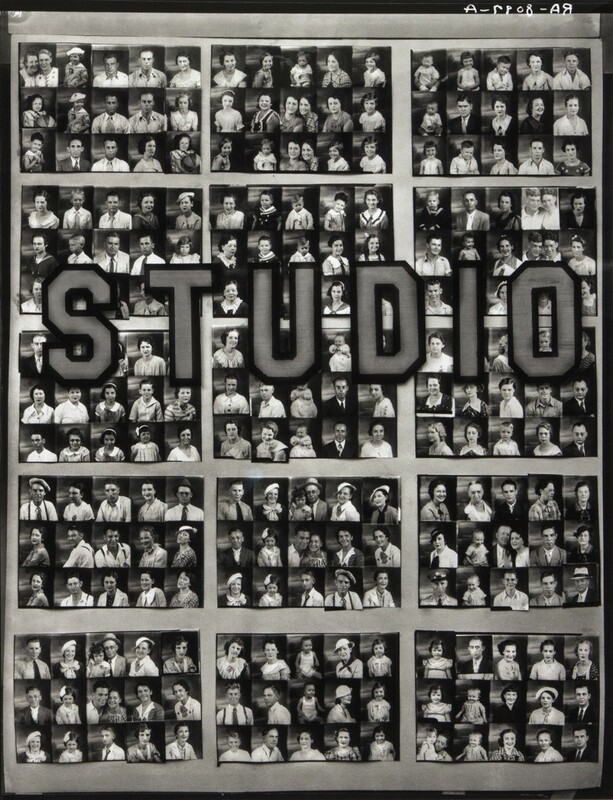 As a photographer I have studied each picture in the studio display and counted how many people wore hats, counted the babies, counted the young and the old, counted those who stared into the camera and those who would rather not. It is a composite of 225 citizens of Savannah, Georgia, who needed a photograph for reasons explained by their expressions. Some needed their likenesses documented to drive a car, some to celebrate a first year of life and those who knew they were near their last. ”Penny Picture Display” is one of the great creative acts of the twentieth century, and it was all captured by Walker in less than a blink of an eye.